Planet of the Apps is the official name of Apple's first ever reality TV show, which we expect to debut in 2017. Apple is stepping into the world of TV, but it's setting its first show close to home by following a hundred of the world's most talented apps creators. According to the Planet of the Apps website, the aim of the show is to offer "a launch pad and accelerator for exceptional developers." There's now an open casting call for the show so you can submit your own app and team to compete - if you get through your app will be seen by viewers around the world. The UK previously had a show titled Planet of the Apps, which ran for four years on Ginx TV. 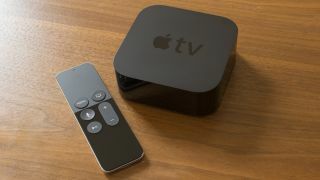 Presenter, director and producer of the UK show, David McClelland said, "Good luck to Apple. The Planet of the Apps format produced by Ginx TV was dropped last year after four successful seasons for a number of reasons, including the fact that general interest in app discovery and download was seen to be in decline. "There are a handful of properties around the world that share the PotA name, and the reality TV Apple format looks to be different once again. I look forward to watching it." The current format of the Apple's Planet of the Apps is unclear, but we'd like an X Factor style contest where teams get knocked out week on week. If you're going to apply, you'll need to give a rundown of your potential idea as well as submitting a one-minute video profile for you and your team by August 26. Your app will need to be a beta state by October 21 to enter the competition and it'll have to run on iOS, macOS, tvOS or watchOS. Then for shooting you'll need to be in LA during late 2016 and early 2017.